Navayana has been around for over fifteen years now. When the ten-year and fifteen-year milestones passed, we quietly worked on our loom without so much as a celebratory announcement. No surprise that the word ‘text’ derives from the Proto-Indo-European teks, ‘to weave, to fabricate’; the written page is textus, which means cloth. Nothing excites us more than seeing off another small title into a large, unsuspecting (and often indifferent) world. Founded on 5 November 2003 between Chennai and Pondicherry, Navayana has been housed in Delhi’s Shahpur Jat for the past ten years. This shelter, overseeing a mulberry tree in April bloom, became a necessity when work on Bhimayana began in 2008. The artists Durgabai Vyam and Subhash Vyam, with a couple of apprentices in tow, came to spend weeks together at this modest office-turned-home. Bhimayana took over two years to make; few back then gave it a chance. Luckily for us, it has steadily sold over twenty thousand copies and has been translated into ten languages. But not all titles published at Navayana—or for that matter by any publisher—experience the ‘success’ of numbers. We got excited when the publishing legend André Schiffrin told us not to think of numbers and books in the same breath. ‘Kafka’s first book sold 600 copies, Samuel Beckett’s only three’, he pronounced. 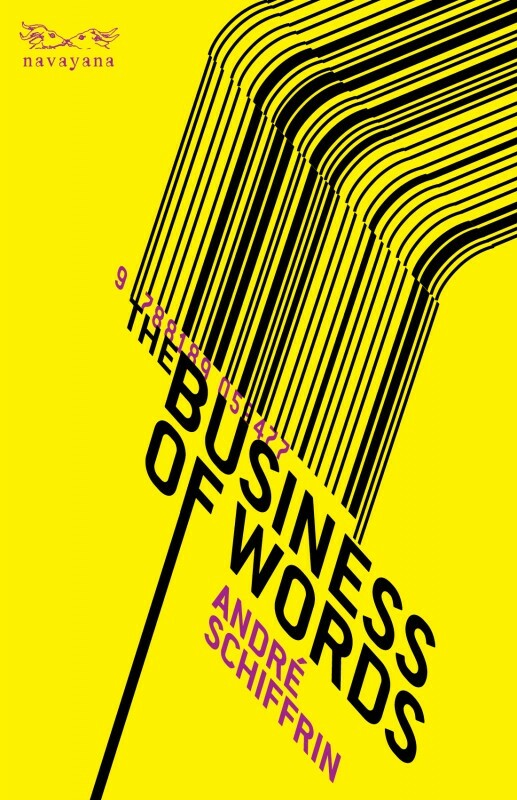 And so we published this publisher’s memoir, The Business of Words, and even brought him over to India in 2011 and organised discussions and lectures with help from the French Book Office. But like a self-fulfilling prophecy, his book also sold poorly. Grab it now for just Rs 50—after all, numbers don’t matter. The minimum print-run we start with is a thousand copies, and in some cases it takes ten years or more to sell even these. Among our favourites is N.D. Rajkumar’s poetry collection, Give Us This Day a Feast of Flesh (translated by Anushiya Ramswamy), and it stills sits in good numbers with us. We publish each title with the hope that it makes the cut, but more often than not it doesn’t. While much ink is spilt over why we should not have got Arundhati Roy to introduce Ambedkar’s Annihilation of Caste, the very first print-run of Bhagwan Das’ memoir, In Pursuit of Ambedkar, which we published way back in 2009 still sits unsold. Das, who worked with Ambedkar, was a pioneer of Ambedkar studies in the 1950s and 1960s. An extract from his memoir had appeared in Caravan. The first volume of Thus Spoke Ambedkar: A Stake in the Nation, selected and introduced by Das, and re-issued at Navayana with annotations, took six years to exhaust its first run. Given such apathy, it did not quite stand a second chance. Unlike corporate publishers, Navayana has so far not had to pulp books. A 2009 UK report says 70 million books are sent to the gibbet every year—quietly, on the sly. With so much stock sitting in our modest warehouse, we are now forced to think of desperate measures to make room for new titles. This year’s Dalit History Month presents us with an opportunity to dispose of books—literally by the kilo. This is both good and bad news, and we hope you will make the best of it. Navayana is holding a clearance sale until 30 April, with discounts of up to 80%. You can buy Alexis Wright’s Carpentaria, a novel which explores the struggles of indigenous Australians through the idiom of local myths, for Rs 100. Up for grabs is Jeremy Seabrook’s The Song of the Shirt—perhaps it is fitting that a book about the poor who pay a price for good clothes being so cheap sells at a distress price of Rs 120. What was meant to serve the cause of politics now serves the cause of irony. Un/Common Cultures, where Kamala Visweswaran explores the theoretical contours of cultural difference and racism, is down to Rs 100. Our backlist is full of such gems being given away for a song. Delivery charges will apply, of course. All this in the hope that you will help us make space in our small warehouse so we can fill it up with the new books that are on the way. And we have reason to be confident about the storms we have been cooking up. Our latest 14 April offering is No Laughing Matter: The Ambedkar Cartoons, 1932–1956. 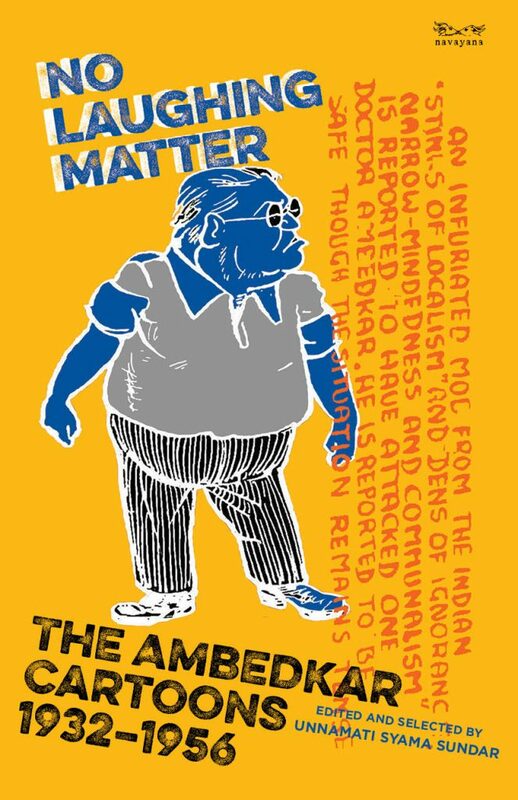 Assiduously archived by scholar and cartoonist, Unnamati Syama Sundar, this book gathers the cartoons on Ambedkar from the English language press and is accompanied by acidic commentary which lays bare savarna prejudice passing for artistic freedom. Our 2019 highlights include B.R. Ambedkar’s Beef, Brahmins and Broken Men: The Annotated Critical Selection of The Untouchables with an introduction by Kancha Ilaiah Shepherd (due 14 October) that will be co-published by Columbia University Press; and Bhanwar Meghwanshi’s sensational memoir of being a dalit in the RSS translated from the Hindi (Mein ek karsevak tha). Before you get your paws on all these (and of course more), do help us make room for them.